Work on our home is coming along. I asked if it would be ready to move into in a couple of weeks. I won’t insult your intelligence with their response. Anyway…Hopefully if I created the links correctly you will get to see some pictures of the design elevations. If not, you will be transported to some unknown, uninhabitable point in the universe, never to be seen again. So the risk is up to you. Remember that the pics are still in the “flat” stages of design. So you have to imagine angles and depth. I do have several friends who are artists, so for them at least, they will see a little of my and the designer’s imagination. The designer by the way is a good friend of mine, Dave Wade. I have known him for years and seen much of his work. He only does quality work. My youngest brother Steve works with him and the name of their company is Tradecenters. I highly recommend their work, and so feel free to pass along their names to anyone looking for new or remodeled construction in Maine, commercial or residential. The link for option A will show you a flat layout from the sky down. This will show you the shape of the house and how it will sit on the property. It is a ranch style with the attached garaged at an angle to give it some character. The elevation link will show you flat drawings of the back and front of the house. There will be lots of windows for lighting. The exterior will be a mix of stone work and vinyl. There will be more pics later to come of the interior but for the moment…I’m not sharing. Want to keep things a surprise as we progress along. I hope you enjoy the updates! Work has begun on our land and there is plenty to do. My brother spent about eight hours on Monday wielding his chainsaw with a vengeance. 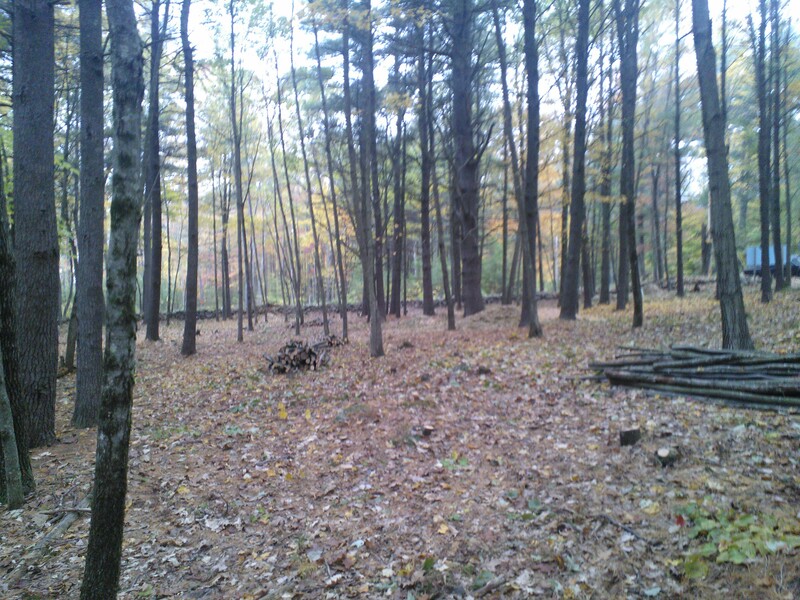 And his crew worked right behind him with axes creating huge piles of brush to be chipped and logs to be stacked. My brother called me Monday night whining about how sore he was from the work. Made me laugh when I remembered back to our growing up years in Maine. We burned about 14 cord of wood each year in our home. We spent many hours and many days with chainsaws, axes, saw rigs, splitters and never thought a thing about it. Tossing around 100 lb. logs, or larger, seemed very normal. Ah the good old days! The company that my brother is in partnership with is call Tradecenter, Inc. They are located in Biddeford, Maine and do mostly commercial construction. Building a modest home like this is a first for them. But I have seen their work and know it is quality. I am eager to see the end results of their first accessible home. More pics here as you can see the land opening up. 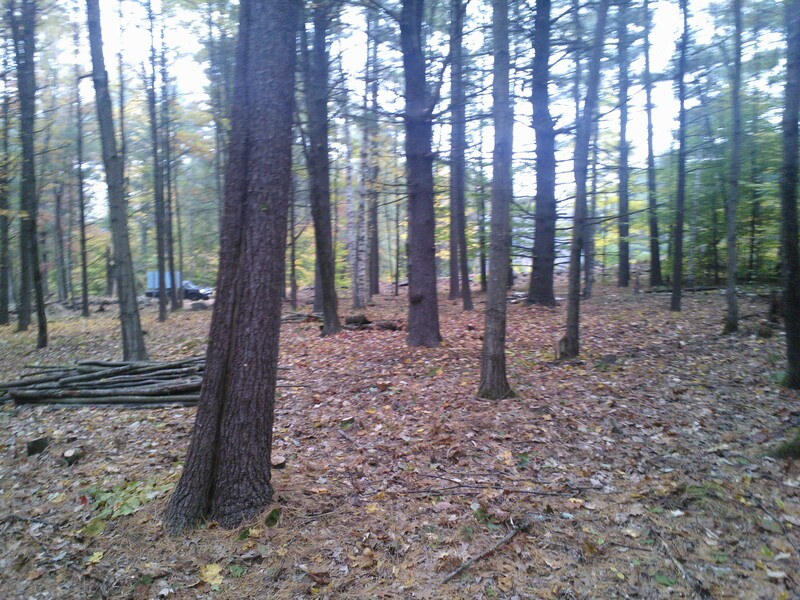 A tree company will be going in next week to take out the larger trees for usable lumber. 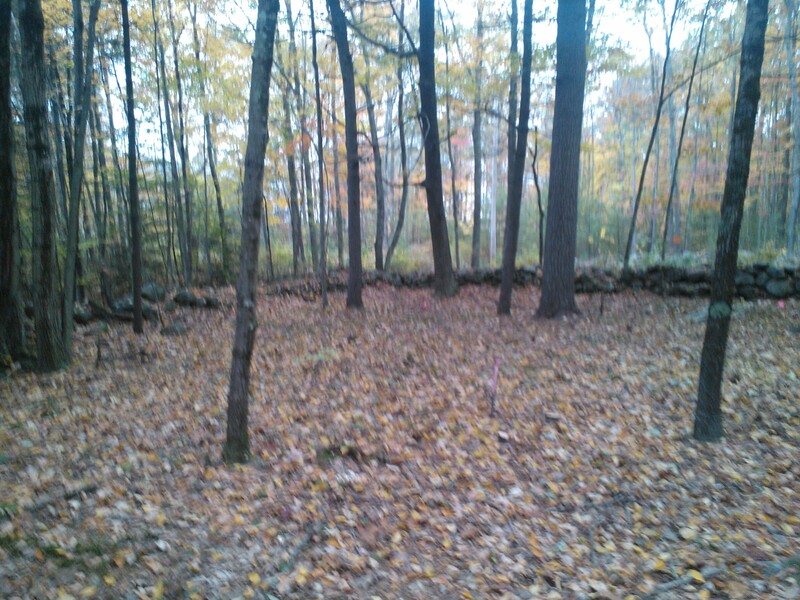 You can also see some better views of the beautiful stone walls. The land has a gradual slope to it and the house will be built and landscaped so that no ramps will be needed. It may not be Christmas yet, but I am just about as excited. 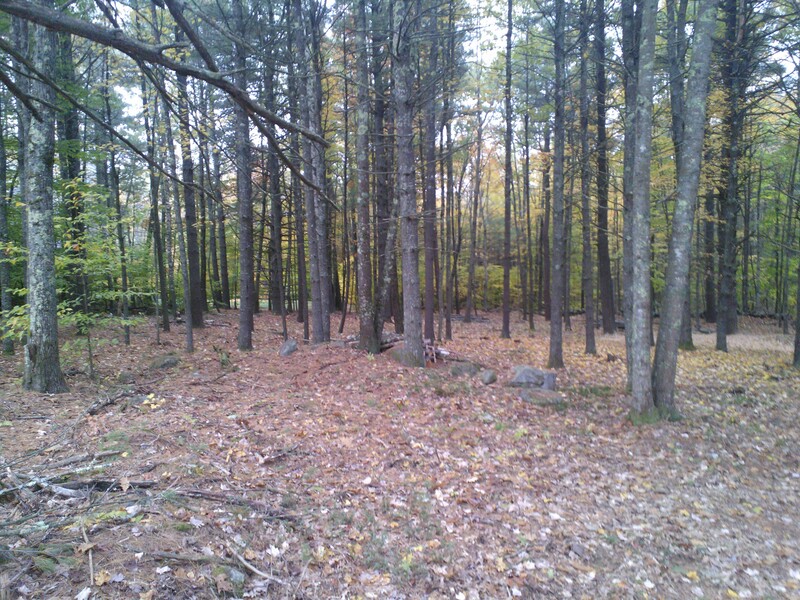 We found a perfect building lot in Waterboro, Maine. It is right in the center of everything that we need to be involved with once we move home. Very close to all of our family and so we can help out when needed. 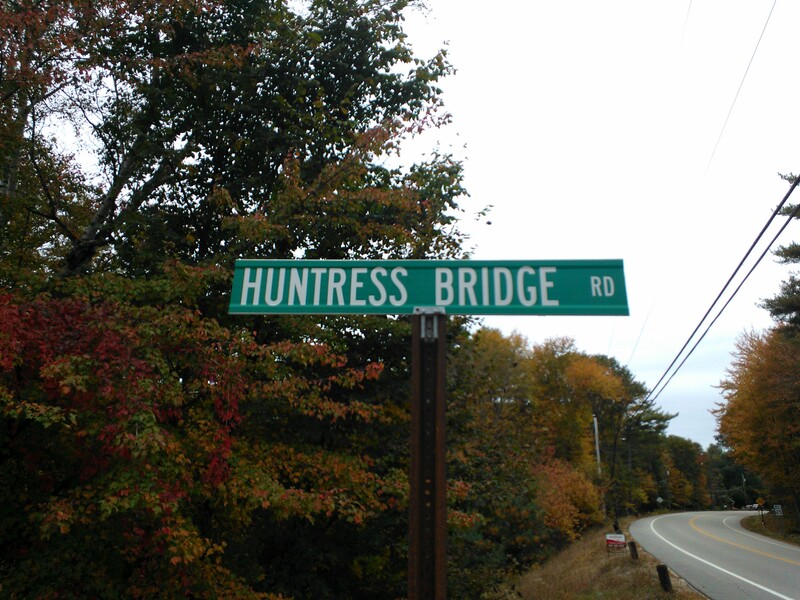 Huntress Bridge Road is not the road we will be living on…but it is home! Finding the right building lot took a lot of time. 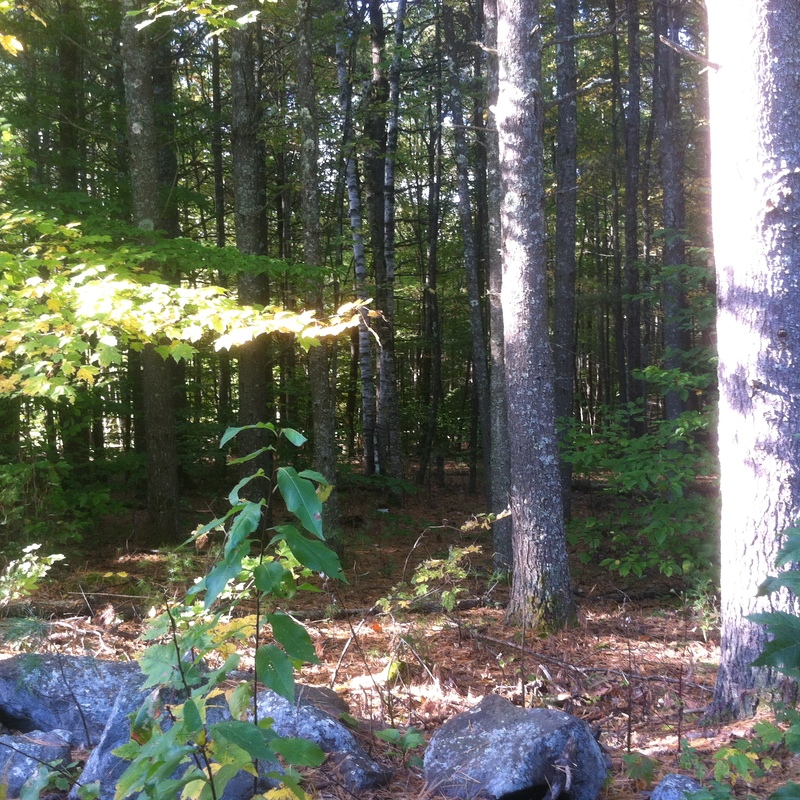 There is plenty of land for sale but we were looking for very specific qualities because of accessibility concerns. For instance, lots that were beautiful but on the side of a mountain were out of the question. I would have felt trapped inside of our home if every time I went outside I rolled down a mountainside. 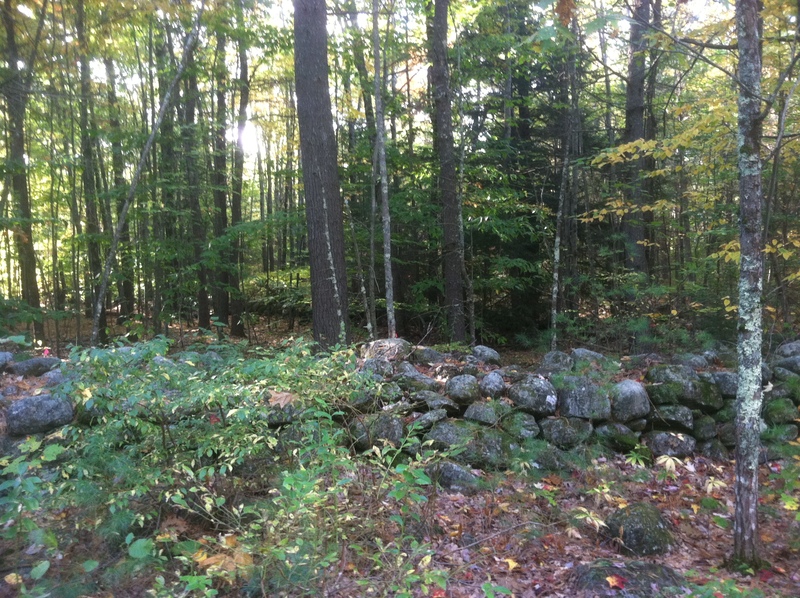 I would recommend to anyone who is buying land, or a home, to find a broker that you like and trust. We had a fantastic one. He instantly knew what we were looking for and why. He did not waste our time showing us MLS listings that would not work. I asked many questions of him that he was always willing to find answers for. He certainly went above and beyond his call of duty. Since we are still living in South Carolina, I had to depend on him a lot to find the perfect location. I also had my brother looking with him at land. My brother’s construction firm will be building our home and he is very familiar with disability needs. Once we found a lot and signed a contract, Wendy and I made a trip to Maine to check it out. We spent a week there going over plans on how it would work best, took lots of pictures, talked to neighbors and put mock computer homes onto the property to see how it would look. Once we were sure it would work for us, we closed on the deal. Now the real fun begins. 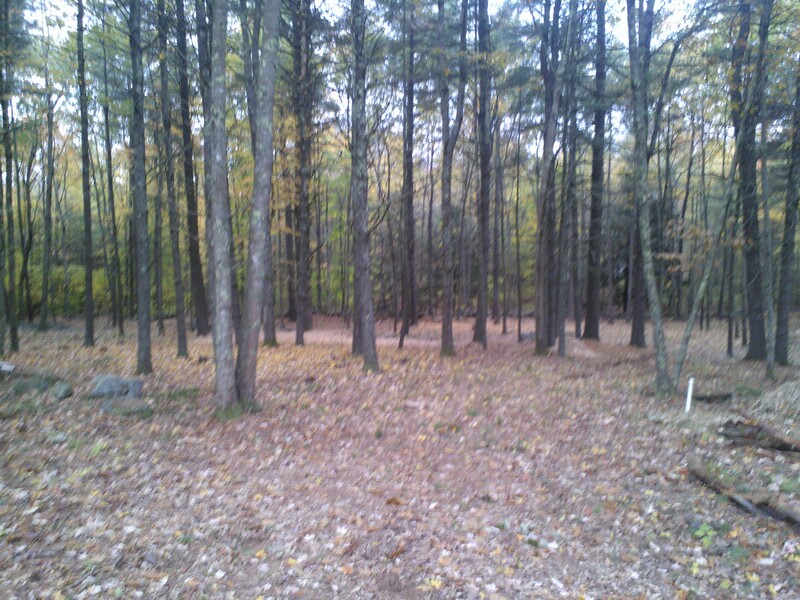 We are already getting the land cleared and hopefully by next week we will settle on the final design. Then the footprint can be started on, septic put in and well drilled. We are currently going through lots of home magazines and contractor books to settle on things like siding, roofing, chimneys, etc. The inside choices will come a little later. The pics do not look like much right now but it will give you an idea. 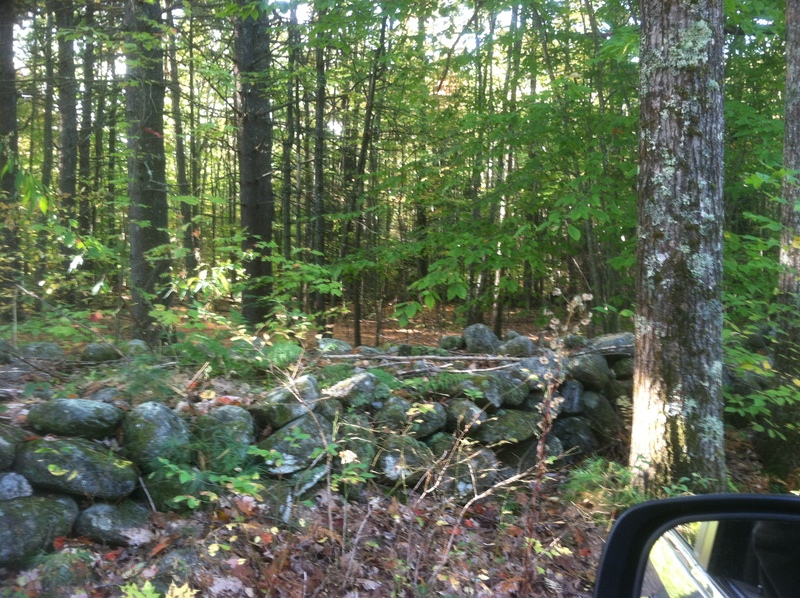 The lot is surrounded by old beautiful New England stone walls. We are getting them back into ship, shape condition. After about 200 years, anything needs a little TLC. I hope you enjoy the pics and follow the process throughout. My goal is to build the perfect wheelchair accessible home. Success? Probably for me, but everyone that is in a wheelchair faces different obstacles, and would need different accommodations. But maybe you will get some ideas here for yourself and to share with others.